Liz is glad Jim is dead and reassures Franco this didn&apos;t break him. She wants him to come home, but Franco tells Liz he can&apos;t just yet. He explains he has things to sort out. Liz claims he&apos;s a good person, but Franco needs some time to heal (which in soap time is about 45 minutes). Jason updates Anna that the proceeds from the book are being deposited into an account in Zurich. Jason says he&apos;ll follow the money trail. Anna wants to go with him when her week with Emma is up. Jason doesn&apos;t want to wait. He&apos;s already lost 5 years and he needs to find Henrik. Anna wants to be there so she can stop Jason from shooting Henrik if he doesn&apos;t like what he finds. Valentin&apos;s annoyed with Peter for avoiding him. He tells him about Lulu&apos;s investigation, but Peter reassures Valentin that he&apos;ll throw Lulu off the scent if she gets too close. Valentin says Peter is playing with fire and it will blow back on him. Valentin says he&apos;s built a good life for himself. He knows if Nina were to find out the truth, he&apos;d lose her forever. 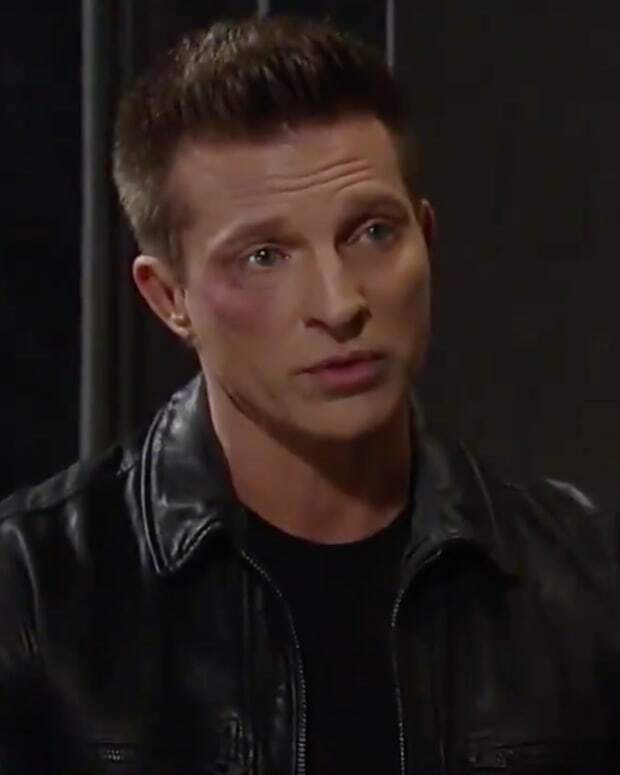 He warns Peter that Jason is coming after him and he needs to leave town. Peter says he isn&apos;t leaving because won&apos;t give up the life he&apos;s made in PC. Valentin accuses him of falling for Maxie, but Peter denies it. Maxie tracks Nina down to argue with her about missing childbirth classes. Nina reminds Maxie she told her to back off to give her breathing room. Nina complains about Peter, but Maxie says he reminds her of Nathan. This makes Nina think Maxie&apos;s attracted to Peter, but she denies it. Nina says they don&apos;t know anything about Peter, but Maxie feels they have a similar childhood because of absentee parents. Maxie feels Peter has been a good friend to her and brings her comfort. Maxie explains it&apos;s easier with Peter since he has no connection to Nathan. Nina promises not to smother Maxie anymore and will give Peter a chance for her sake. Franco meets with Kevin and explains what happened with Jim. He remembers everything from his childhood including being molested. He feels he might have encouraged the negative attention, but Kevin disagrees saying Jim was completely to blame. Franco explains what happened with Drew. He was trying to protect him from Jim by hiding him in the basement, but Drew fell. Franco wonders if he might be a danger to Liz&apos;s boys since most abused people grow up to be abusers. Kevin asks if Franco has ever had any inappropriate thoughts about the Webber boys. Franco denies it and points out he has been a predator in other ways. Kevin (say it with me) blames it on the tumor. Kevin says Franco has been a model citizen since the tumor. (I remind Kevin that Franco stabbed and buried his mother, and kept a man in a cage with a shock collar since the then.) Kevin says Liz feels safe around him because of who he is now. 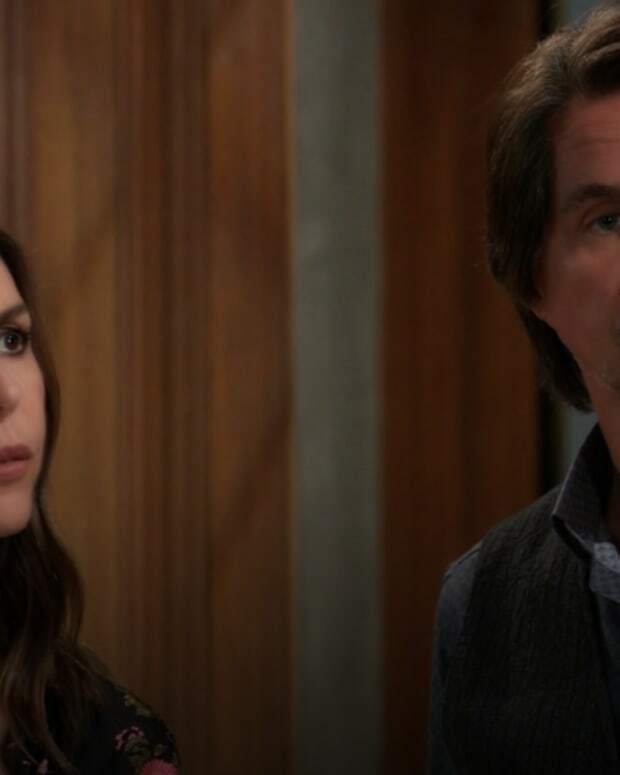 Emma interrupts Jason and Anna. Anna explains she may be going to Switzerland with Jason for work. Emma says she&apos;s doing a school project on Switzerland and wants to go with them. Jason doesn&apos;t think it&apos;s a good idea, but Anna feels it would make a good cover story. Franco finds Liz waiting for him after his session. She says she knows he would never hurt her boys. Franco tells her he&apos;s coming home. Nina calls Curtis and tells him to back off the investigation on Peter. Curtis tells he&apos;s found dirt.